To display your company on this website please click here for more info. property management and maintenance services in North Cornwall. Holiday caravans, lodges, villas and holiday cottages also residential properties and land for sale in North Cornwall. Holiday letting agents in North Cornwall. Welcome to Latitude 50, the perfect place for the kind of luxury holiday cottages in Cornwall you might have given up trying to find. 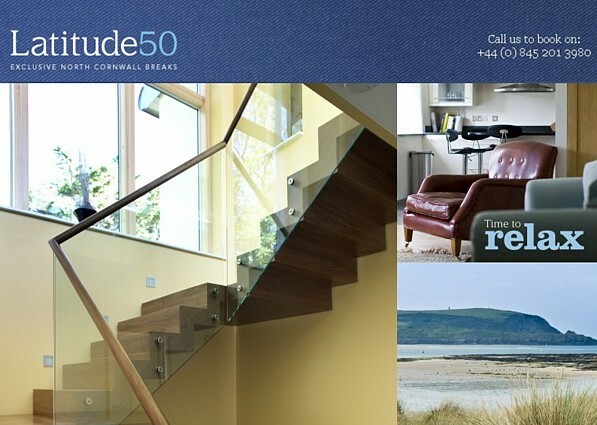 We have a wide range of beautiful, self-catering properties in four of North Cornwall's loveliest locations - Rock, Daymer Bay, Polzeath and Port Isaac - as well as years of experience, thousands of satisfied customers and devotion to a highly personal service unlike anything you'll find elsewhere. West country holiday properties can be located throughout Devon and Cornwall. Have you got a Holiday letting agency that is in North Cornwall. For only £30 you can advertise your agency here for a whole year. Your letting agency must be in North Cornwall. Land for sale in North Cornwall. We currently have Land for sale in these areas of North Cornwall. Tenders close at 5pm on Friday 29th April 2016. Approximately 1000sq ft of land (possible building plot) for sale in St Teath Parish. Have you got a land to sell, that is in North Cornwall. For only £30 you can advertise your land for sale here for a whole year. Your land must be in North Cornwall. Property for sale in North Cornwall. We currently have property for sale in these areas of North Cornwall. 2-3 bedroom cottage in an extremely quiet and secluded location with stunning uninterrupted views of the sea. Ideal getaway. Has scope for development. Offers in the region of £300'000. Complex of 6 units for sale as individual flats. Have you got a property to sell, that is in North Cornwall. For only £30 you can advertise your property for sale here for a whole year. Your property must be in North Cornwall. If you wish to you can use a worldwide property advertising platform. Copyright © 1998-2017 Kestrel Solutions All Rights Reserved.